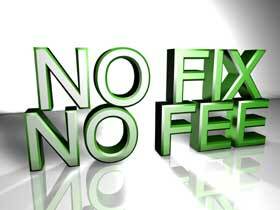 With no fix, no fee there is nothing to lose. I don't even charge a call out fee. You want your computer fixed, I want to fix it. If you are not happy with my work, I don't expect to be paid.